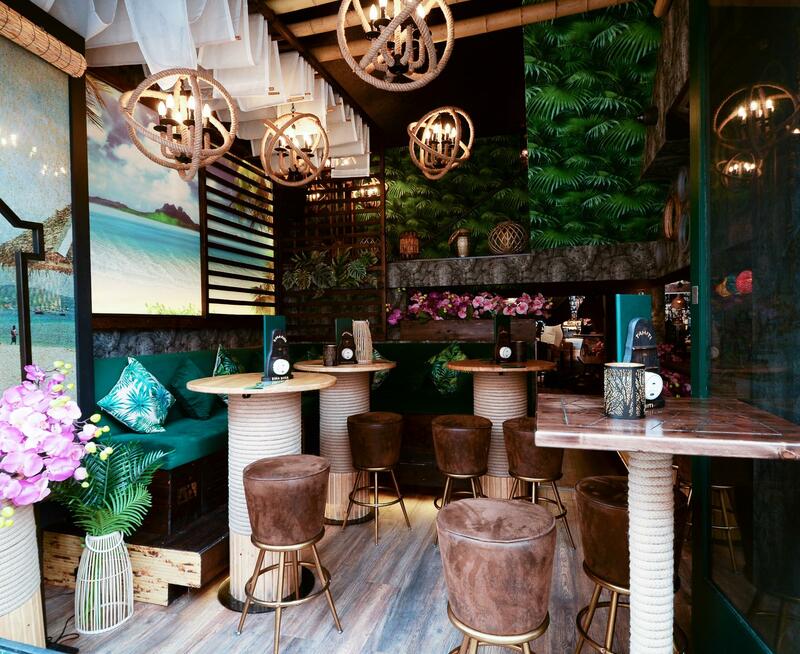 Want a tropical escape in the heart of Islington boasting world-class cocktails and late night party? Welcome to Laki Kane. At Laki Kane you’ll discover your own tropical escape. A carnival of the senses with the Aloha spirit of eternal happiness. A place with unforgettable cocktails, entertainment and five-star service with a smile. Laki Kane's skilled staff will serve spectacular cocktails straight to your table and if you’re hungry, you’ll find a tempting menu of light meals designed to perfectly complement Laki Kane cocktails. Laki Kane is the culmination of many years of planning by founding partners Steve Kyprianou, Georgi Radev and Sam Robson. Call in for a cocktail – or two – and Laki Kane promise you’ll enjoy a warm welcome – whatever the weather. Laki Kane transports you to a tropical world where the sun is always shining and the good times never end. Our spectacular cocktails contain no refined sugars and are made using unique exotic ingredients, natural sugar cane syrups and the world’s finest selection of rum; perfectly complementing our fresh and flavourful food, inspired by the cuisine of the tropics. Discover your own tropical escape with us. Want a tropical escape in the heart of Islington boasting world-class cocktails and late night party? Welcome to Laki Kane. At Laki Kane you’ll discover your own tropical escape. A carnival of the senses with the Aloha spirit of eternal happiness. A place with unforgettable cocktails, entertainment and five-star service with a smile. Laki Kane's skilled staff will serve spectacular cocktails straight to your table and if you’re hungry, you’ll find a tempting menu of light meals designed to perfectly complement Laki Kane cocktails. Laki Kane is the culmination of many years of planning by founding partners Steve Kyprianou, Georgi Radev and Sam Robson. Call in for a cocktail – or two – and Laki Kane promise you’ll enjoy a warm welcome – whatever the weather. The Spiced Dry Rum Club is an exclusive area which can host parties of up to 35 people. This area comes with its own bar area, bespoke cocktail menu, and your very own bartender and waiter. You have access to 2 large Apple/HDMI read HD screens and you are welcome to bring your own playlist should you wish. The room is available for private hire from 9:30pm. Before this you can discover the pinnacle in rum making discovery. Learn all about the history of this incredible drink whilst creating your own slice of the future; a bottle of your own flavoured rum! Spiced Dry Rum Club rum redistillation masterclasses run daily from 6pm during the week and 5pm on the weekends.